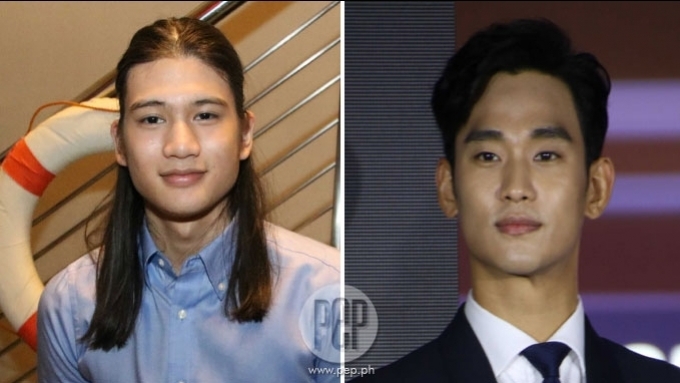 Gil Cuerva on original Matteo: \"He\'s hard to live up to.\"
Gil Cuerva on original Matteo Kim Soo Hyun: "He's hard to live up to." 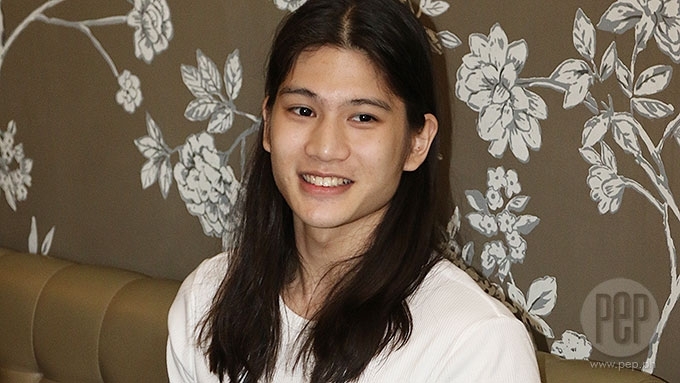 Starting tonight, May 29, viewers will get to see Gil Cuerva as the Pinoy Matteo in My Love From the Star PH. Did Gil get the chance to personally meet Kim Soo Hyun, who played Matteo in the original Korean series? "Unfortunately, no. He's very busy and he came here for a private event," said Gil in an interview held at Caliburger, Quezon City last May 26. "Ako naman, respeto lang kay Kim Soo Hyun. He's probably very busy now and preoccuppied so not meeting him is okay. "Siyempre, he's a superstar internationally and me, I'm just starting out..."
How did he feel while watching the original Korean series? "When I watched it, I wanted to watch as a fan muna. It's a very unique type of love story. To top it all off, yung leading man is an alien. Alien siya, hindi siya tao. "It's a very unique love story. Wala siyang specific formula or algorithm. It was very different from the status quo and because of that, it attracted a lot of viewers." When asked about the differences of the Pinoy Matteo, he pointed out, "He's still stoic, reserved, and distant. Ganun pa rin si Matteo pero mas Pinoy nga lang." As for bringing life to the alien in MLFTS first portrayed by Kim Soo Hyun, Gil admitted, "He's hard to live up to." ON RATINGS. 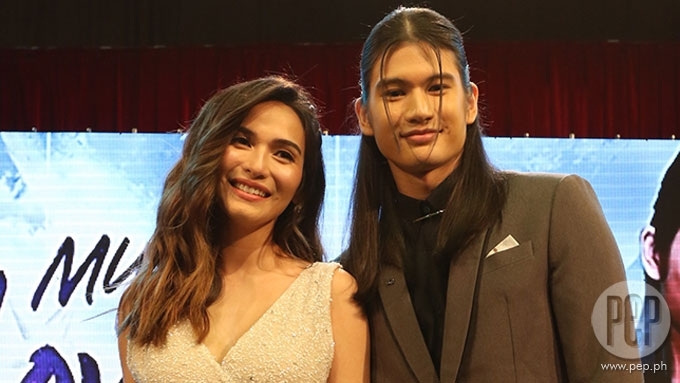 GMA-7's My Love From The Star PH will be pitted against ABS-CBN's primetime series My Dear Heart. Is he conscious about the ratings performance of their new show? "Siyempre, I wish na maging mataas ang ratings. "Kung hindi man, ako naman, I can sleep well at night knowing na binigay ko na lahat. I gave everything. I did everything I could to make the show nice." How would he react to bashers who would compare the Philippine version with the original version? "Natural naman po yun. Naturally, magkakaroon ng bashers, doubters, haters." Is he ready for negative feedback about his portrayal of Matteo? "Yes, when I auditioned and when it was confirmed that I got the role, it was a decision that I made. "I considered what would be the effects or the consequences ng pag-enter ko sa showbiz. This is something that I signed up for. "I'm blessed to be in the position that I am today. Why would I let these negative comments bring me down, di ba?" said the newbie actor. ON SHOOTING IN TARLAC. How was it like shooting the Spanish era scenes in Tarlac? "Sobrang init po tapos three layers pa yung suot ko na all-black na mabigat. "Yung opening scene namin, you can only imagine kung gaano kainit. "From the inside, nararamdaman ko na nagdi-drip na yung pawis ko." In the opening scene, viewers will get to see the spaceship of Matteo landing on earth, during the 16th century Spanish era. "Not really Katipunero . You'll soon find out kung sino ba si Matteo noong time na yun. Nag-adapt siya sa mga surroundings niya." Did he find it difficult to deliver his Tagalog lines? "I'm just thankful. Mas patient sina Direk Joyce at Jennylyn kaysa sa akin kasi ako, lagi akong nagbu-buckle ng lines, lalo na kapag malalim yung Tagalog at mahaba. "They're so patient kung hindi ko makuha nang first, second or third time. Okay lang, ulitin na lang uli. Ako naman yung may problema...I'm being too hard on myself. "I get frustrated easily. In the process, hindi ka makaka-focus sa acting. "Direk Joyce is also indirectly telling me to be patient with myself para mas maka-focus ako sa acting kahit bano ako mag-Tagalog or baluktot ako mag-Tagalog." KAPUSO IDOL. Given the chance, who are the GMA-7 stars that Gil would want to work with in the future? Gil declined to name a specific leading lady since he pointed out, "I would really leave that up to my management. Ako naman I'm fine with anyone." "I think I would want to work with Dingdong Dantes because right now, he is the perfect archetype what a leading man is supposed to be. "I feel like if I could have a project with him, I could learn from him just by watching him work and watching him how he approaches a scene." 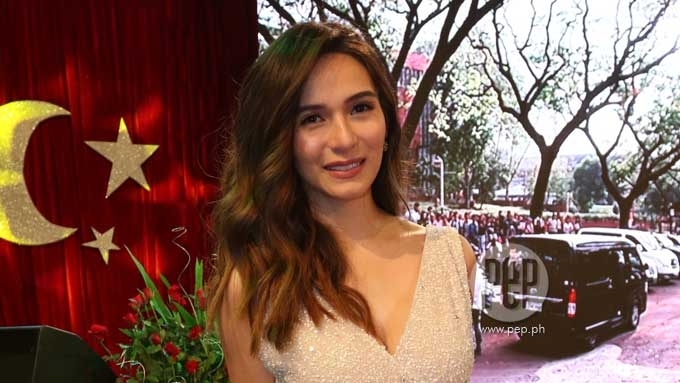 Jennylyn on newbie co-star: "Kulang ang GMA ng leading men."